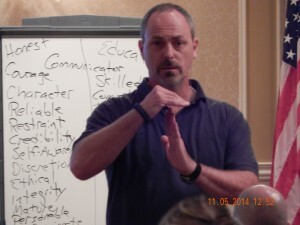 PoliceDynamics.com is the official blog site for Police Dynamics training, a character-based leadership program developed by Sheriff Ray Nash (ret.) of Dorchester County, SC. Based on a series of leadership principles called “dynamics”, the program is designed to make law enforcement agencies more powerful and effective. To date, Sheriff Nash has trained over 10,000 law enforcement officials and government leaders from around the world in the principles of Police Dynamics, including the Romanian National Police, the Sierra Leone National Police and the Moscow Police College. He is currently serving in Afghanistan as a Police Program Advisor for the Department of State at the US Embassy. Thanks for letting me sign up to your page. Glad to have you on board. Please let me know what you think about the training videos. I am always looking for comments and discussions. We’ve got a great one going on under the Dynamic of Discretion right now. Feel free to weigh in…!